Southerners have traditionally been adept at incorporating resources from the land around them. Fruits, nuts, and spices were a constant source of comfort and pleasure. Historically, no matter the condition of the land, whether drought, flood, or war, a portion of their surroundings were inevitably transformed into a small piece of sweetness. 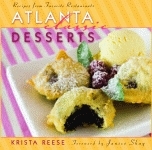 Dessert recipes have dominated Southern cookbooks for ages. 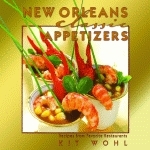 Here you will find 100 representative recipes from all over the South. Some of the cakes, candy, and cookies were once served in the Washington and Jefferson White House. The custards, fruit desserts, and pies were brought over by the English, Spanish, and French, while ice cream and dessert beverages have transformed significantly through the generations. 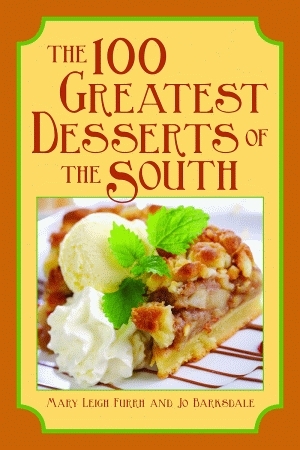 All are among the best Southern cuisine has to offer—its most enduring dessert recipes from the past and its most promising from the present. 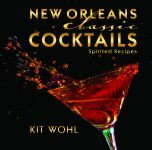 Among the many delectable egg, cream, and sugar creations are such rich, indulgent concoctions as syllabub and floating island, introduced by English and French colonists, and exotic Creole show-stoppers such as cherries jubilee. 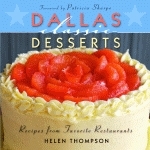 You’ll also find such tantalizing treats as Winifred Cheney’s blackberry jam cake, Miss Lillian’s pecan pie, and Georgia peanut cookies. Jo Barksdale has written cookbook reviews and freelance food articles for several of Mississippi’s leading newspapers. Mary Leigh Furrh is a former food editor of Mississippi Magazine. Click here for Chapter 1. Click here for Chapter 1. Click here for the Front Matter. Click here for the Index. Click here for the index. Click here for the Introduction. Click here for the Table of Contents.